SensoBaby nurtures positive relationships through play and holistic development, founded on international best practices. After doing research around the world, we’ve picked out some of the best activities to do with your child. Each class has been developed with your little one’s physical, emotional, sensory and cognitive growth in mind. SensoBaby classes are a great way for your child to learn new skills and extend his or her social circle. They’re also the perfect excuse to get out of the house and meet new people. Introduce your newborn to sensory development activities and new faces. 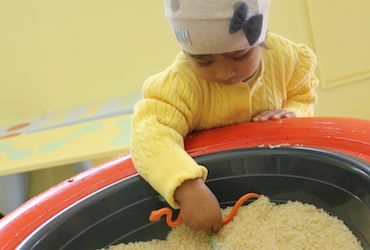 Explore sounds, smell, taste and touch through playful sensory activities. Let your pre-nursery child join this children’s gymnastics class. Toddlers love this energetic class filled with art, music, sensory and action play. 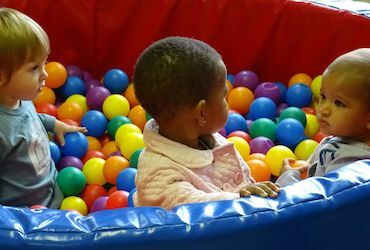 Active tots will have fun and practice pre-school readiness activities. Global music program for babies and toddlers. 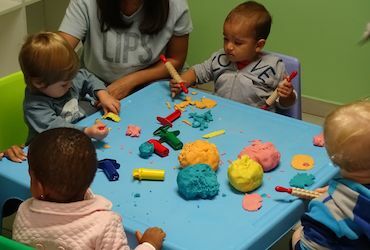 SensoBaby is Gaborone’s first centre offering baby & toddler play classes. Our Vision is of a happy and healthy community that nurtures the fun and wonder of family. SensoBaby courses will develop your little one’s gross and fine motor skills, speech, social and emotional skills, awareness of the world, and concentration needed for future learning. And we aim to help YOU enhance the bond you have with your baby through better communication, shared experiences, and time spent together. We aim to create a fun, warm, and welcoming environment for you and your kids. The sort of space where you hear children say, “This is so much fun” and “Look! Look at me!” to their parents. Plot 10289 Leopard Road in Maru-A-Pula. Exploring, talking, thinking, trying, imagining, risk taking, sharing, making choices, running, singing, making friends, trying things out, leading, following, building, laughing, smiling… learning. In the first months of life, your baby is experiencing everything for the first time: the first light, your voice and smell, the feeling of your clothes, the taste of milk, and even the way your jewellery reflects the light. At first, the only stimulation your baby needs is you. But as they get older they want to learn more about the amazing world around them. This is the time to introduce new sounds, explore smell, taste and touch, and explore new activities with them. Physical play provides essential opportunities for children to develop their gross and fine muscle strength, plus build the critical integration between muscles, nerves, and brain functions. Young children need lots of opportunities to build their motor skills. That’s how they learn to perform everyday important tasks such as getting out of bed, zipping zippers, brushing teeth, and writing with a pencil. Balance, strength and confidence all come from early motor development through play. 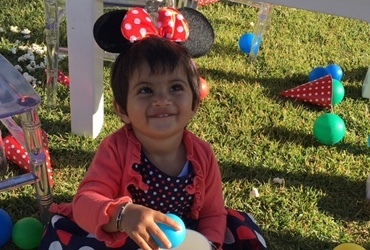 Constructive play is when children build towers with blocks, play in the sand, make masks of their favourite animals, or create a painting to hang on the fridge. It allows children to experiment with objects and learn basic knowledge about stacking, building, drawing, making music and constructing. And it gives children a huge sense of accomplishment. Children who are comfortable constructing become good at manipulating words, ideas and concepts. Toddlers have no shortage of imagination. Watch as they cook up pretend meals, treat their dolls to baths, or engage in games of teddy-bear hospital. Fantasy play stretches their imaginations, builds their verbal and social skills, gives them the chance to work through their fears, and learn to play independently. Luckily this comes naturally to children but through our SensoBaby classes, parents will be able to nurture it. Our Vision: to have a happy and healthy community that nurtures the fun and wonder of family.